Hay! Look at me I am back. Sorry for Missing in action for so long. Life has been busy. Some of you have said you missed me. I have gotten some Yellow scraps done this month. 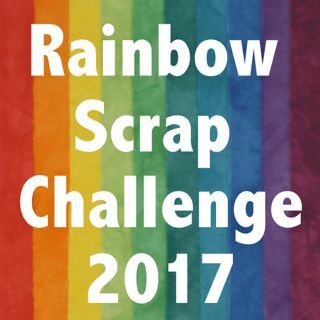 I have added this post to Soscrappy's Saturday linky party, I am a day late but it is better than never. Yesterday was a Leduc Guild Quilt till you Wilt day. I sewed all day. 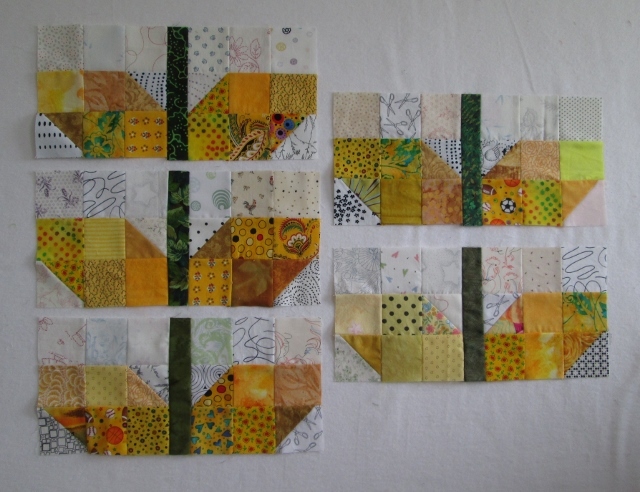 I have been working on the Sprout blocks again. I got this pattern over at Trace Jay Quilts. I had taken my featherweight sewing machine with me to BC in mid May. 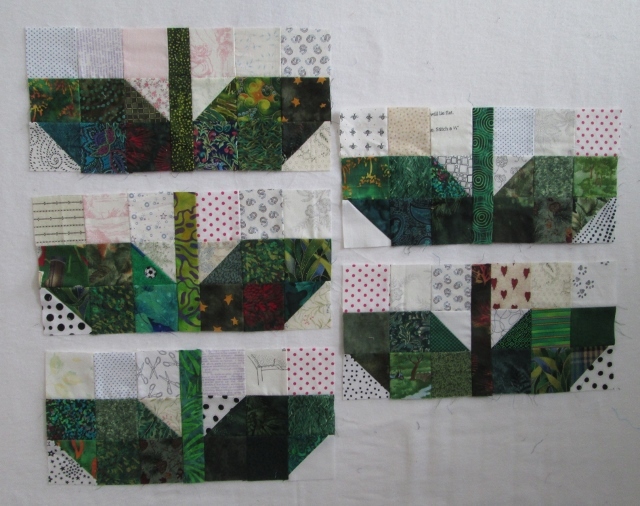 I got the Blue and Dark Green blocks done while mom and I were at CQA Quilt BC conference. A few nights I got a little sewing done in the hotel room. April was Green for the RSC2013. I had gotten Lime green done in time and posted back in April. But I still wanted Darker Green done in the sprouts. Here are the last 15 blocks together. I have 20 other in the drawer from the first 4 months. Wow 35 blocks so far. 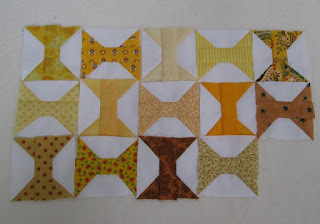 A few Spool blocks done in Yellow this month. I found this pattern over at Bonnie Hunter's Quiltville. It is a Leaders and Ender project. The drawer of these blocks is very full. I may soon have enough for a quilt. 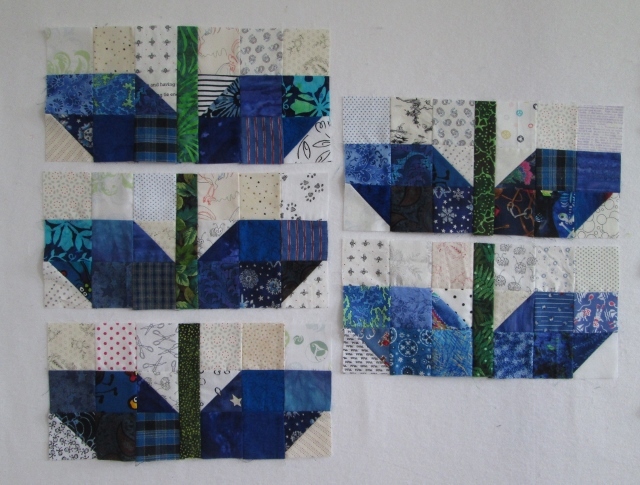 I am not sure how big a quilt I will end up with. I just keep going with them. I still need Red done and some wild prints that are not just one colour. 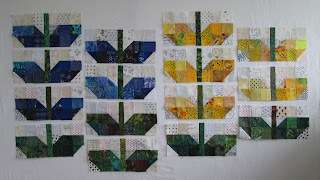 Here are a few Flying geese blocks. I still have not done these in Blue yet. I am a little behind on the blue blocks. Love it all, but the flying geese are my favorites. Love yellow, it's so warm. Oh I do like those sprout blocks. Definitely going on the list for someday. Those blocks are adorable. And very lovely colors. I love all your blocks. The little flying guess are a good idea for using those tiny pieces. Had not thought of that. I've missed seeing your posts and your sprout blocks. How are the hexie's coming along? 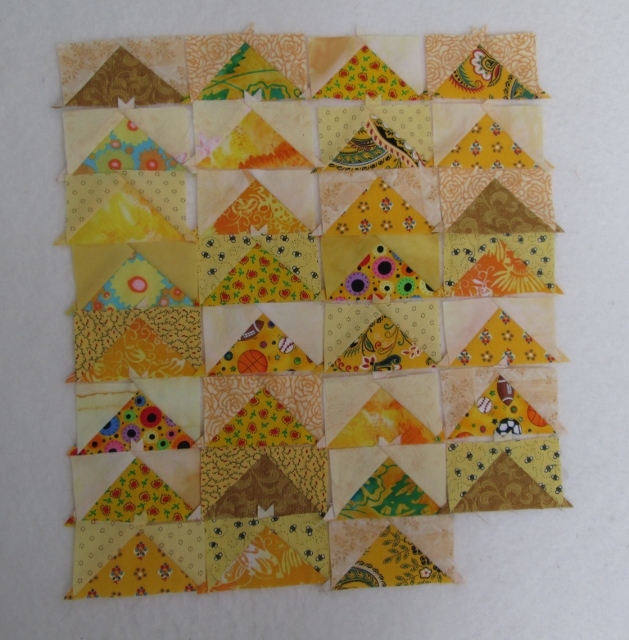 Some wonderful yellow blocks to add to your bins.